It is here! Pokémon Go has officially come to parts of Asia and Oceania – namely Brunei, Cambodia, Laos, Philippines, Vietnam, Thailand, Indonesia, Taiwan, Papua New Guinea, Fiji, Solomon Islands, Palau, Federated States of Micronesia, and my very own home, MALAYSIA; on Saturday, denizens of these countries and regions started emerging into the outdoors, some having never been touched by direct sunlight in years, to catch Pokémons. Everywhere I have been since, there are people playing Pokémon Go, talking about Pokémon Go or complaining about Pokémon Go. One thing’s for sure, though, is that the game is getting people moving, in both good and bad ways (there have been multiple reports of accidents, injuries and trespassing, as a result of the game). Even I am moving more than I usually do, and I am hardly sedentary. I chose to walk, rather than drive, to the hospital to visit a friend, so that I could catch some Pokémons on the way; in the afternoon, the temperature here hit 33°C and I looked as feverish as the patient when I arrived. Later in the evening, even though I am still recovering from a knee injury, I went an extra round at the park to – you guessed it – catch more Pokémons. Half of the people were there to run, and the rest were there filling up their Pokédexes; I multitasked and did both. From the looks of some of the Trainers I saw there today, it was more exercise than they’ve had in months. Not only is the game getting people to move more, it has changed the way we move. Cars are no good for the game – Niantic, the game’s creator, cleverly put a cap on the speed, so the game’s GPS tracker doesn’t work in fast-moving vehicles. The options are to walk or take the public transport from location to location, where Pokémons lurk. In Los Angeles, notorious for traffic jams, the Metro set up a Twitter account to advise commuters on which trains and stops around the city have creatures loitering around them, as a way of encouraging people to use public transportation. 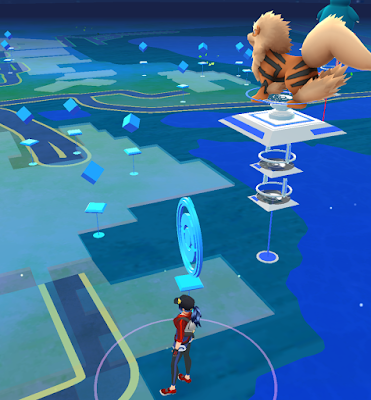 In Malaysia, people have reported catching plenty of Pokémons just riding the Light Rail Transit (LRT), and the stations now have a secondary function as Pokégyms. The more popular stations – like the one in KLCC – apparently have more of the otherworldly virtual inhabitants. Moovit, the popular transit app that is available in 65 cities, had already integrated the game into its features some two weeks ago. You can look for PokeStops using Moovit’s Trip Planner, if you NEED MORE BALLS, or seek out a PokeGym, if you’re itching for a fight. It didn’t work when I tried it, though, and I’m guessing that Moovit has yet to activate the feature in my neck of the woods. 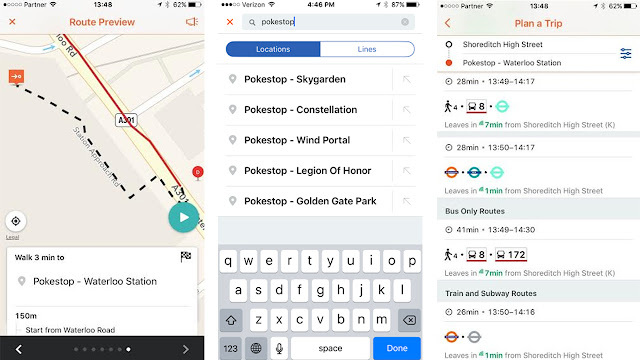 Elsewhere, where the feature works, the Moovit app can run simultaneously with the Pokémon Go games, and the Live Directions feature will buzz you when you’re approaching your stop because you will be too busy transferring surplus creatures to notice. We have already written about how other transportation providers – namely Uber, Lyft, Grab and the likes – have been offering special promos to Trainers (Read about Uber offering Pokémon service and how Indonesians are Grab-bing Pokémons). 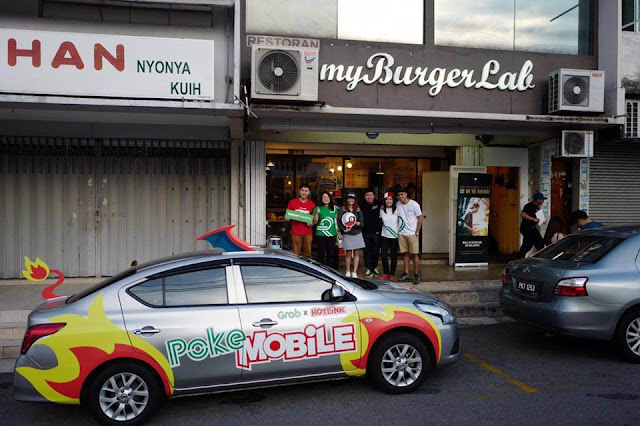 Over the weekend, when the game officially took off in South East Asia, Grab’s area of dominance, the ride-hailing company called on Malaysian players to Grab ‘Em All safely, by offering free rides to selected PokeAreas. Another trend that has emerged from this is what I call GO-road-tripping, when groups of friends embark on a road trip while playing the game, whether as a side activity or with the main intent of playing. The Verge writer, Adi Robertson, detailed his GO-Road-Trip from New York to Toronto, during which he bonded with his co-workers as he would have over sports, and chatted with a stranger that he otherwise would not have. As for me, my friends and I are planning a GO-Eat-Trip soon, to ride the LRT, eat at famous Kuala Lumpur eateries and Pokémon Go so hard that I expect to return with both my stomach and Pokédex full.